Jewish residents, and plan for the future. and completing the online questionnaire. And if you were looking for it - here is the official Survey invitation. 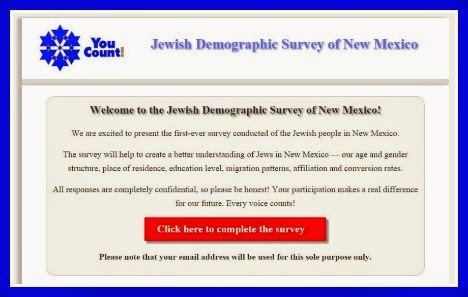 Once you click here or there or on any graphic in this blog post, you will be warmly welcomed to the Jewish Demographic Survey of New Mexico. 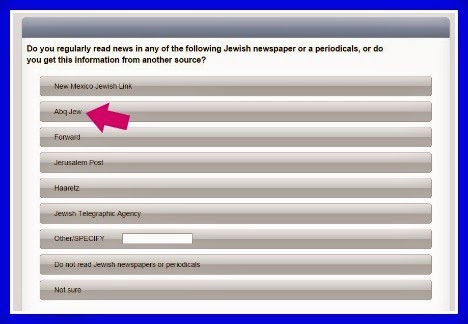 The Survey gets down to tachlis pretty quickly. How important is being Jewish in your life? Abq Jew knows how he would answer that question, because that's how he answered that question. But he is not going to tell you, because all individual answers to the Survey are completely confidential. to help better serve the needs of our people. 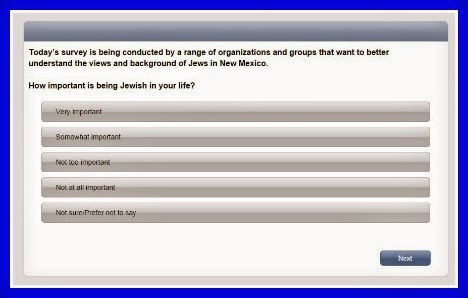 No, Abq Jew is not going to show you all the Survey's questions. But he is going to show you this one, especially for its suggested responses, of one of which he is particularly proud. Thanks for the shout-out, JFNM! Readers! Show Abq Jew some love! There are sizable cash rewards for completing the Survey. But there aren't. All you get is this screen. 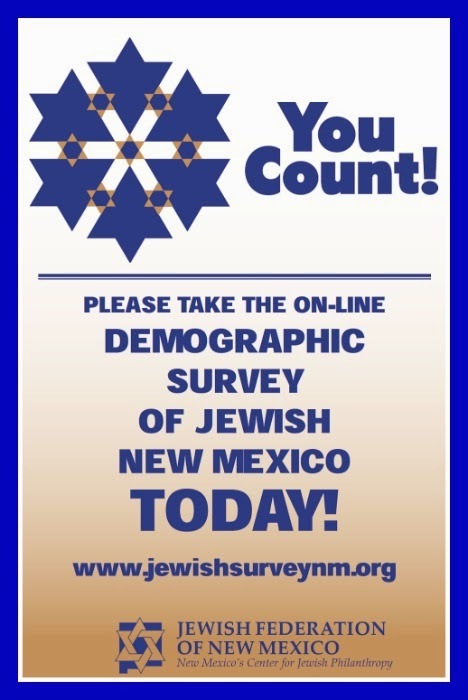 help to create a better understanding of Jews in New Mexico - our age and gender structure, place of residence, education level, migration patterns, affiliation and conversion rates.